Tiled roofs are beautiful and durable. Those two reasons alone give tile roofing some serious merit for consideration. While it’s true that they may be expensive and heavy, the fact that they can last a hundred years makes up for the cost and weight. Roof tiles were usually made from slate or fired clay products. Modern types, however, are from concrete. Tile roofs are great in areas with hot weather or exposure to salt air, making them the go-to option for expert providers of home repair services. Tile roofs come from raw materials that do not deplete limited natural resources. They don’t use petroleum products nor contain chemicals. In addition, they are also a versatile choice as concrete tile roofs look good on any home style. Light-colored clay tiles offer the benefits of a cool roof system. 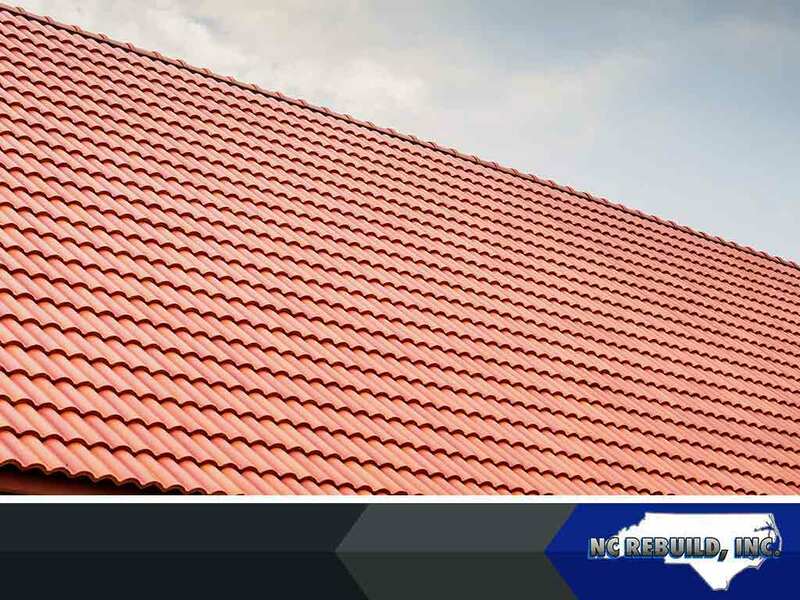 Roofing tiles have two inherent qualities that give energy efficiency. The first is the natural thermal resistance in the raw materials. This is due to the larger cross-sectional areas of the tiles while installed. The second is a thermal barrier for heat transfer to the roof deck. They are always installed one at a time; not in sheets and not in an overlapping style. This results in the natural airspace around the tiles. This ventilation results in well-reduced heat flux transfer. It reduces peak energy demands and benefits homes in warm as well as cold climates. You don’t need other remedies, such as fiber cement siding repair, for example, to keep the weather outside. Petroleum-based and fossil-fuel dependent roofing materials clog our landfills. Concrete and clay tile’s longevity reduces the need for reroofing and waste. They are mineral-based, non-toxic and reusable in manufacturing. When you need to replace a tile roof, no waste goes to a landfill. From exterior painting to emergency roof repairs, NC Rebuild, Inc. is your trusted contractor. We get the job done in the most timely and satisfactory fashion. We proudly serve Durham, NC, and surrounding areas. Get started on your project today by calling us at (919) 289-5771.